Brook Swensen is now the answer to a trivia question. 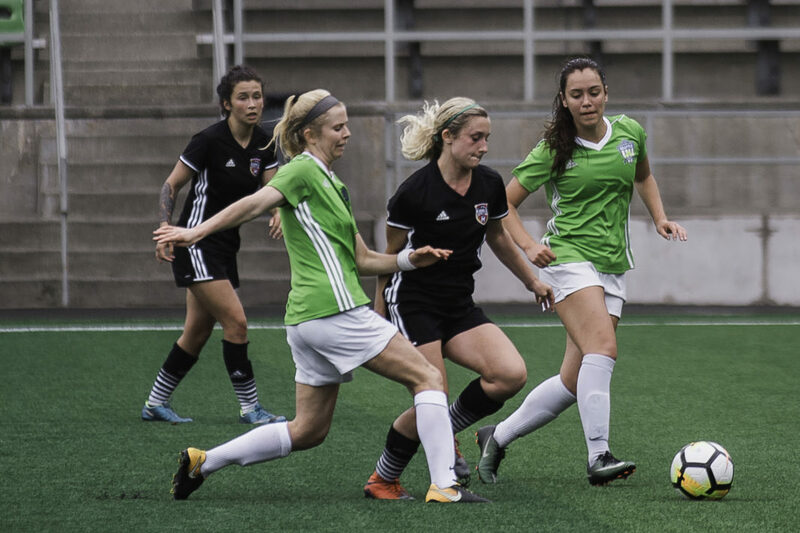 Swensen, who plays collegiately at The Evergreen State College, became the first player to ever score a goal for Blackhills FC in a Northwest Premier League (NWPL) match on June 10. The tally came during the team’s road win over NCW Alliance – a monumental achievement in itself as it marked this specific club’s first ever victory. First goal, first win, all in one day – not bad for a team that didn’t even have a roster, or uniforms, a mere three months ago. 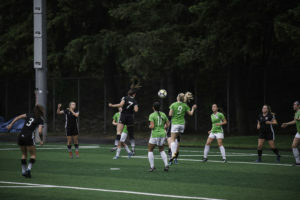 It’s been quite the whirlwind for the Olympia-based women’s amateur semi-pro soccer team in its inaugural season, from its inception to becoming a reality on the field. The Olympia-based Blackhills FC, a women’s amateur semi-pro soccer team, kicked off it’s inaugural season this year. Prior to this year, Blackhills FC fielded 11 girls teams in the Regional Club League (RCL), but those teams were all youth soccer programs. Locally, there wasn’t an opportunity for women to play competitive soccer once their youth careers came to a close. Jones, Blackhills FC Executive Board and Technical Director James Charette and a host of other determined supporters helped changed all that this year. And the product has proven to be a success. “It was a special feeling to see it all come together after so much planning went into it,” Jones said. The process of bringing the club together began last August. The Northwest Premier League announced in December that Blackhills Football Club would become the ninth member of the elite adult women’s soccer league. The club held tryouts in April, drawing a mixture of former Blackhills FC players and some new faces who had ties to the area. 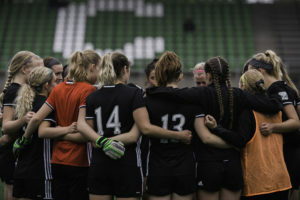 Two losses followed the season-opening tie before the squad notched franchise win number 1 on June 10 with a 2-0 victory on the road over NCW Alliance in Wenatchee. While Swensen registered the team’s first goal, goalkeeper Carly Becker, a 2017 graduate of Olympia High School who now plays at the University of Portland, made history as well, stopping every shot she faced to notch the first ever shutout for the club. Jenna Killman, a teammate of Becker at Olympia and current University of New Mexico player, got in on the offensive attack as well, adding a late goal during Blackhills FC’s first ever victory. Blackhills FC will close out its inaugural regular season with home matches at Ingersoll Stadium on June 23 and June 30. “We have been on the road for the last couple weeks and have more travel ahead. We are looking forward to getting back to Olympia,” Jones said. The club asks for donations of $5 for adults and $3 for children 6 years old and under to attend the match. However, any child wearing any type of soccer jersey will get in for free.